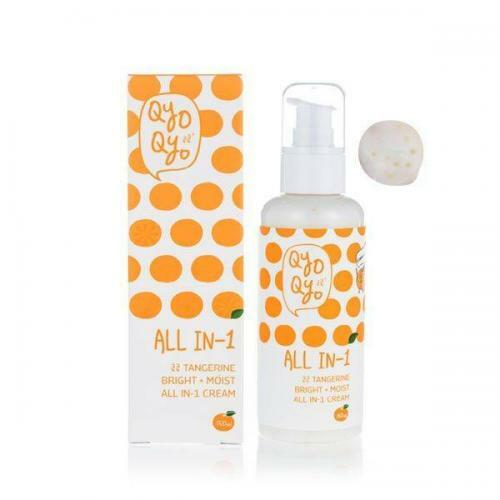 [Qyo Qyo] All In-1 Cream, Tangerine Bright + Moist, Toner + Essence + Lotion - Made w/ Tangerine Peel from Jeju @ AccessoryGeeks.com! 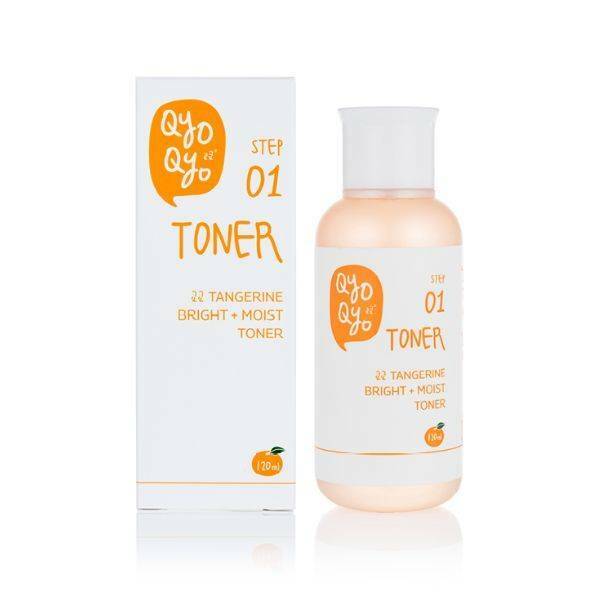 Jeju tangerines contains 4 times more vitamin C than fruit itself and is effective in brightening the complexion. 7 flower extracts strengthen the skin barrier. 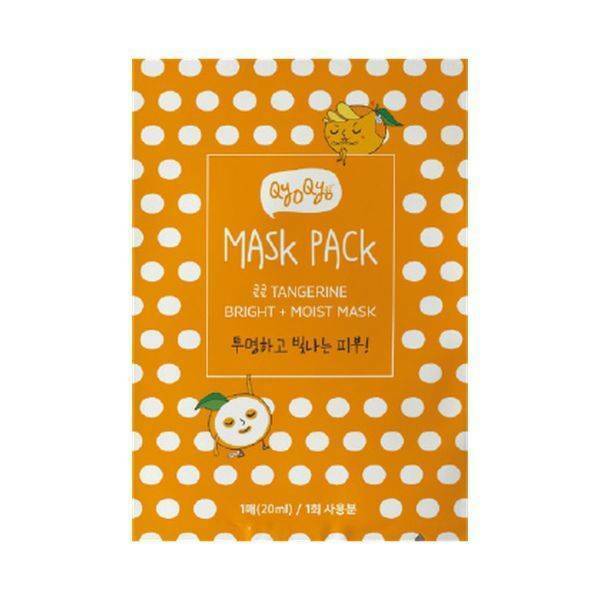 Jeju tangerines contains 4 times more vitamin C than fruit itself and is effective in brightening the complexion. This product brightens the skin (tangerine peel), strengthens the skin barrier, enhances skin elasticity, and soothes the skin. Super easy to use! After washing your face, apply an appropriate amount on the skin and spread lightly for absorption. INGREDIENTS: AQUA, GLYCERIN, DIPROPYLENE GLYCOL, CETEARYL ALCOHOL, BUTYLENE GLYCOL DICAPRILATE/ DICAPRATE, CYCLOPENTA SILOXANE, CETYYL ETHYLHEXANOATE, SILICA, CYCLOHEXASILOXANE, DIMETHICONOL, BUTYLENE GLYCOL, 1,2-HEXANEDIOL, DIMETHICONE/VINYL, DIMETHICONE CROSSPOLYMER, BETAINE, BUTYROSPERMUM PARKII BUTTER, GLYCERYL STEARATE, CAPRYLYL GLYCOL, CETEARYL GLUCOSIDE, CHLORPHENESIN, PEG-5 GLYCERYL ISOSTEARATE, POLYSORBATE 60, PEG-8 GLYCERYL ISOSTEARATE, ARGININE, CARBOMER, CITRUS UNSHIU PEEL EXTRACT, BISABOLOL, ALLANTOIN, TOCOPHERYL ACETATE, ROSA CENTIFOLIA FLOWER WATER, OLIVOYL HYDROLYZED HEAT PROTEIN, PEG-20 GLYCERYL ISOSTEARATE, POLYACRYLAMIDE, GLYCERYL OLEATE, PARFUM BODY CARE L30012 - Amyl cinnamal, Butylphenyl methyl-propional (Lyalal), Benzyl benzoate, Cytral, Citronellol, Cumarin, Geraniol, Lemonen, Linalol, Alpha-isomethyl ionone, PARFUM "CLEAR CRYSTAL" No2 ANTIALLERGIC - Benzyl alcohol, Benzyl benzoate, Cinnamal , Cytral, Citronellol, Evgenol, Geraniol, Hydroxycitronellal, Lemonen, Linalol, ETHYLHEXYL GLYCERIN, C13-14 ISOPARAFFIN, PEG-40 HYDROGENATED CASTOR OIL, DISODIUM EDTA, CARRAGEENAN, LAURETH-7, DIPOTASSIUM GLYCYRRHIZATE, XANTHAN GUM, AGAR, POTASSIUM HYDROXIDE, GLUCOSE, MICA CI 77019, TITANIUM DIOXIDE CI 77891, CI 77491, ACRYLATES/C10-30 ALKYL ACRYLATE CROSSPOLYMER, IRIS ENSATA EXTRACT, COSMOS SULPHUREUS FLOWER/ LEAF/STEM EXTRACT, LILIUM CANDIDUM FLOWER / BULB EXTRACT, ROSA CENTIFOLIA FLOWER EXTRACT, JASMINUM OFFICINALE FLOWER EXTRACT, HIBISCUS ROSA-SINENSIS FLOWER / LEAF EXTRACT, SODIUM BENZOATE, NELUMBO NUCIFERA FLOWER EXTRACT, PHENOXYETHANOL, POTASSIUM SORBATE, CI 77480 GOLD, SODIUM HYDROXIDE. 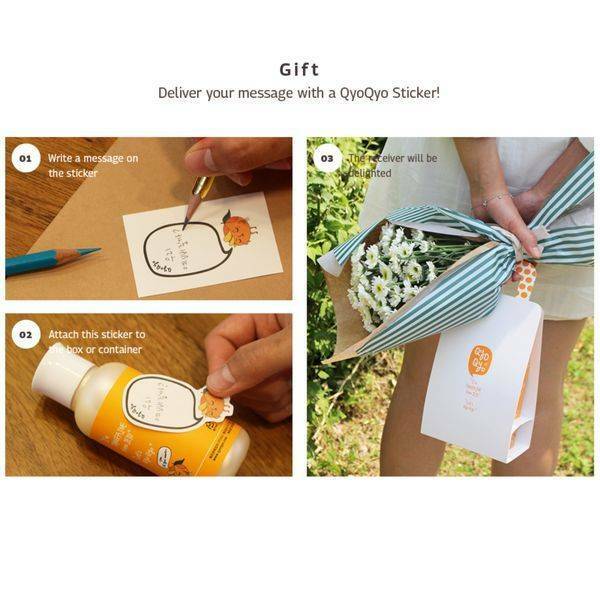 Qyo Qyo products are free of parabens, mineral oils, animal ingredients, paraffin, sulfate and benzophenone. 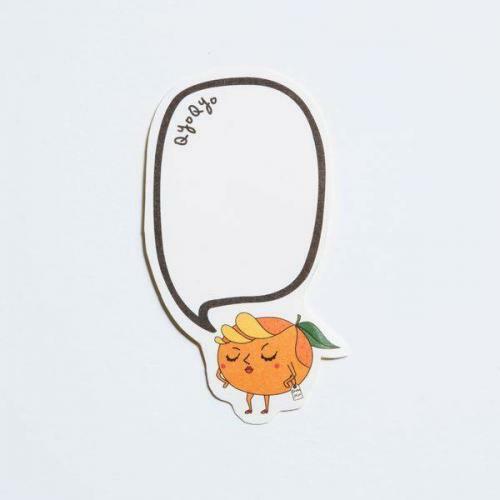 Jeju tangerines contains 4 times more vitamin C than fruit itself and is effective in brightening the complexion. 7 flower extracts strengthen the skin barrier. Trehalose is a natural moisturizer which shows strong affinity with the skin.. This product brightens the skin (tangerine peel), strengthens the skin barrier (7 different flower extracts [Rose, Cosmos, Jasmine, Lily, Russian Iris, Mugunhwa, Lotus]) enhances skin elasticity (shea butter) and soothes the skin (licorice extract). 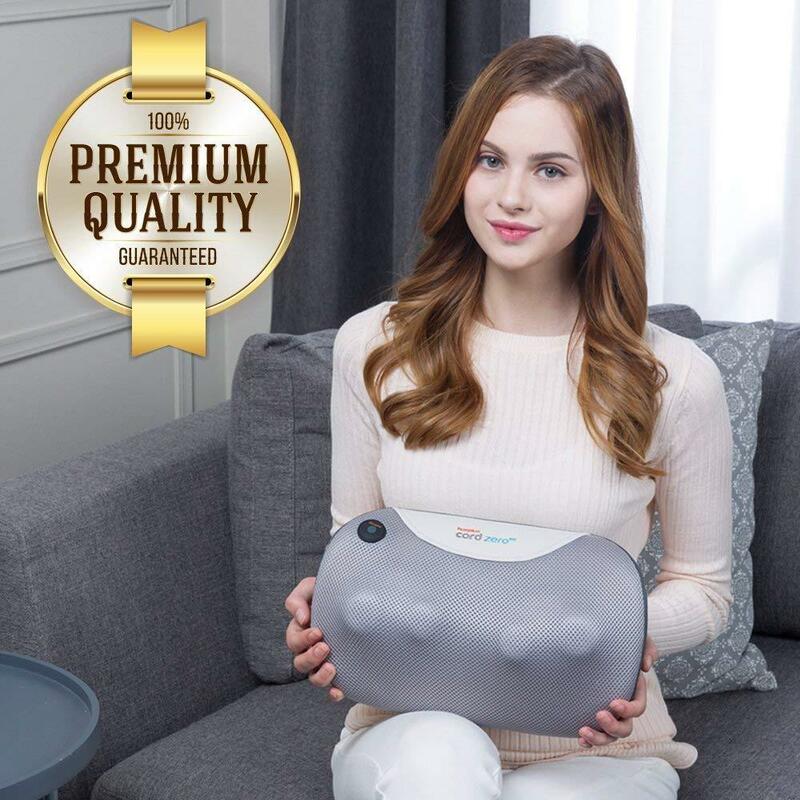 It is excellent for sensitive and weak skin. 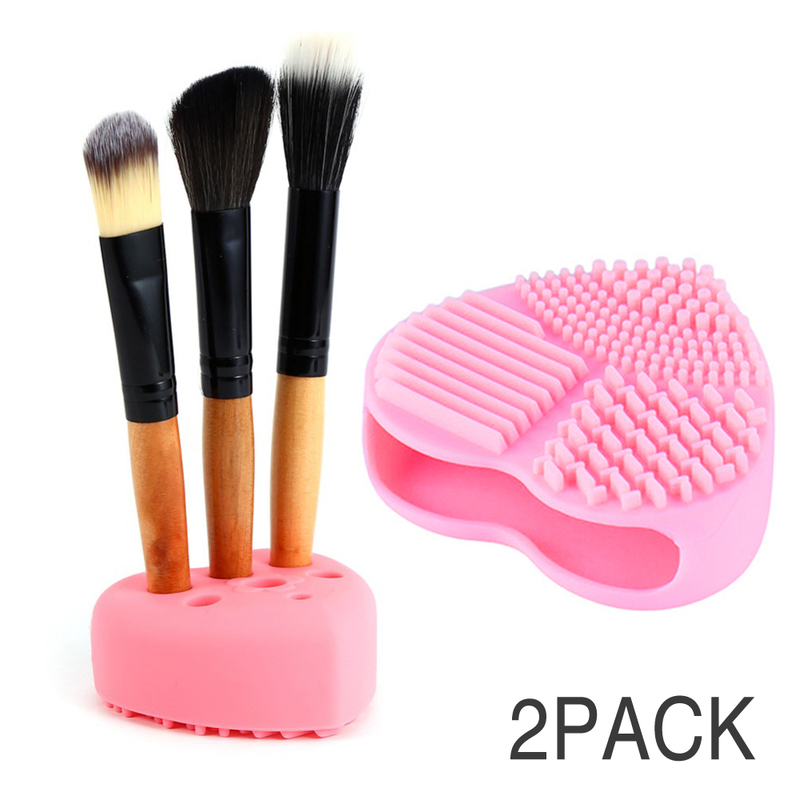 Eutuxia Makeup Brush Cleaner & Holder Set. Silicone Finger Glove. 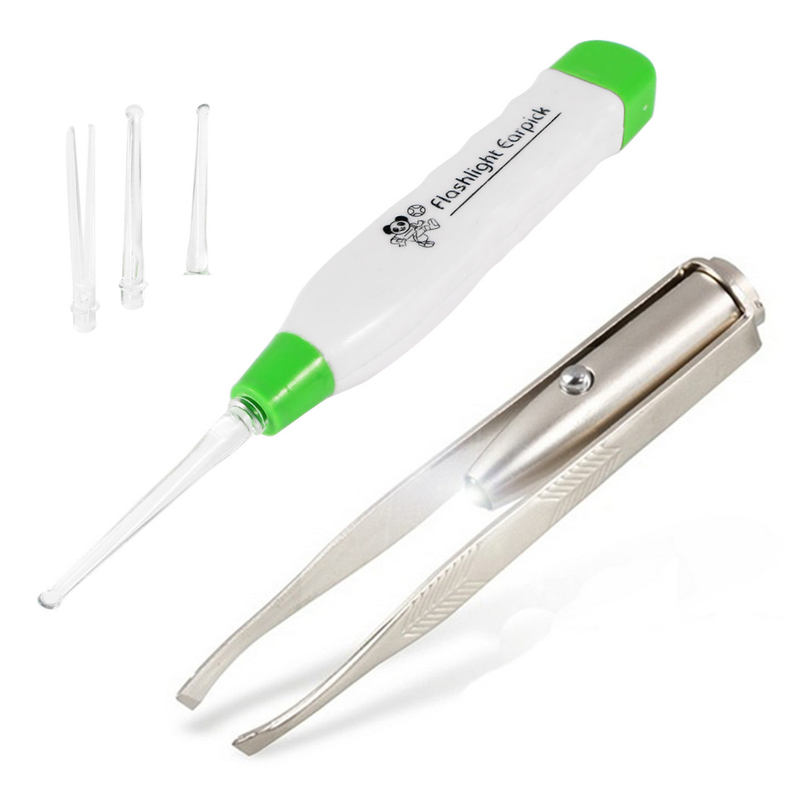 Portable Washing Scrubber Tool for Cleaning Cosmetic Brushes. Heart Shaped Scrubbing Board, Pad with Organizer. Small & Large Bundle. I love this daily face cream plus toner. This is a great lotion for sensitive skin and feels comfortable on my skin. I am on my third bottle and I can see the difference!